The SH Sol Ifach Hotel is located only 150 metres from the excellent Fossa Beach, blessed with warm and crystal-clear waters, along the Infanta Elena seafront promenade. 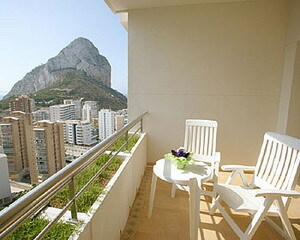 Only 150 metres from the Port of Calpe from which the famous Rock of Ifach rises up. 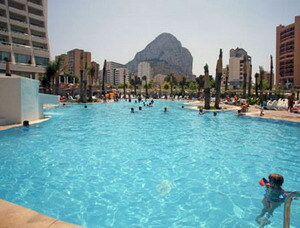 1 kilometre from the centre of Calpe, a shopping centre and the main bus station. 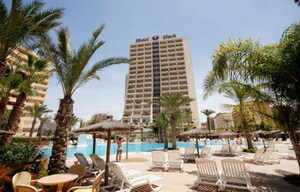 75 kilometres from Alicante airport. 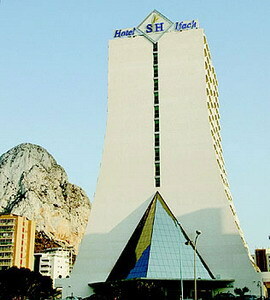 The Sol Ifach Hotel is located on one of the main highways through Calpe and enjoys views over the famous Rock of Ifach. 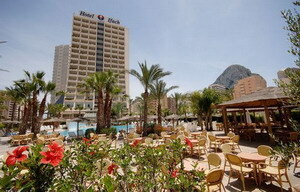 The SH Sol Ifach hotel is located only 150 metres from Fossa Beach, bathed by the warm waters of the Mediterranean Sea. 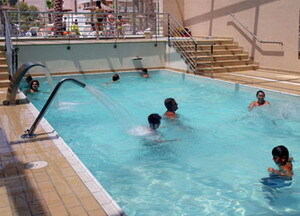 It is an excellent beach with fine sand bordered by an attractive seafront promenade. Located only 1 kilometre from the centre of Calpe, where the ancient heart of the town is home to the “Torreó de la Peça” defence tower, the ancient walls and the Church of the Virgin of the Snow, the only remaining example of the Arabic Mudejar style architecture in the whole of the province of Valencia. 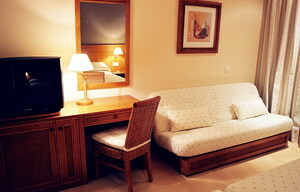 The location enjoys a privileged climate almost all year round. 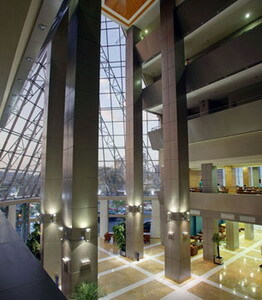 The large and bright lobby welcomes guests to a modern hotel, designed for the enjoyment of your vacations or the celebration of very special events. 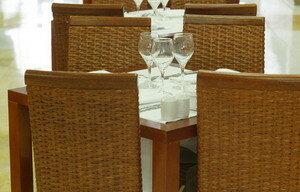 Enjoy varied and exquisite cuisine in our spacious restaurant. 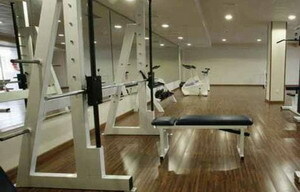 An extensive buffet is available for breakfast, lunch and dinner. 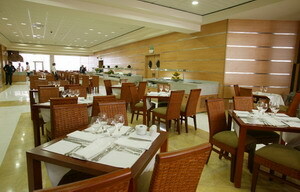 Las Salinas Restaurant, serving an extensive hot and cold buffet with Mediterranean and international cuisine and also a children’s buffet (in holiday season). 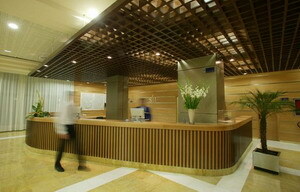 The ideal location for a spot of relaxation after a day of fun and to enjoy our select range of snacks every day. Located in the most refreshing area of the hotel, in the open-air, bathed by the sun and cooled by the pool, with views of the Rock of Ifach. 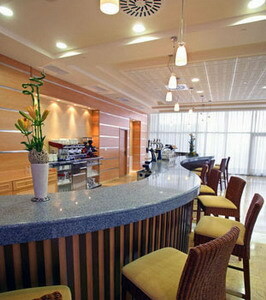 A great place to enjoy our select choice of snacks. 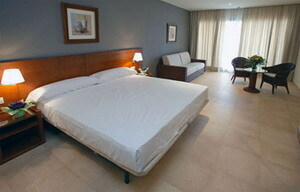 The rooms at the SH Ifach Hotel offer maximum comfort and a full range of facilities. 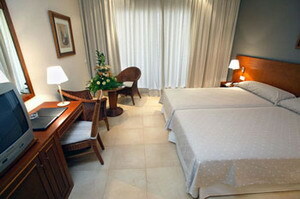 The hotel provides 1 suite, 23 superior double rooms with whirlpool bathtub and 2m. by 2m. king size beds, standard double rooms with a sofa-bed for children and 169 standard double rooms with: satellite TV, direct dial telephone, safe (digital), temperature control (air conditioning and central heating), minibar, radio channels (through the TV), terrace and full bathroom (shower and bathtub), as well as a hairdryer, magnifying mirror, anti-mist mirror, infrared lamp, telephone and radio channels (speakers in bathroom).